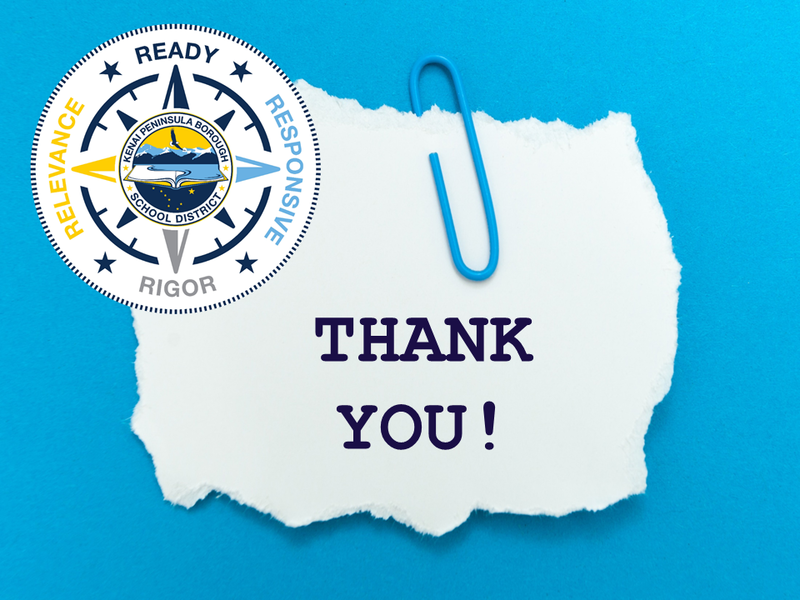 Thank you to everyone who worked closely in and with KPBSD schools today after the earthquake this morning, the Tsunami warning, evacuations, aftershocks, and damage assessments. You make a difference! KPBSD anticipates Kenai Peninsula schools will open on a normal schedule Monday, December 3, 2018. If anything changes over the weekend, KPBSD will announce this through usual communication channels: website, social media, email to staff, Mobile App, and possible a districtwide alert via SMS, email, and phone. Kindly take care of yourself and your neighbors. This entry was posted on November 30, 2018 at 5:01 pm. You can follow any responses to this entry through the RSS 2.0 feed. You can leave a response, or trackback from your own site.